Quality takes time, whether it’s designing and furnishing an inspired interior, or creating meticulously hand-knotted rugs. In our fast paced world, time is a luxury you can’t always afford – and certainly never at the expense of quality. Lapchi’s solution is Quick-Ship, a selection of our most in-demand designs in their best selling color-ways, available for quick shipment in 8’ x 10’, 9’ x 12’, and 10’ x 14’. A marbled mirror blend of slate and citrus tones grounded by symmetry and style. Subtle tide-like movement from a pure silk border over the plain of Mirage’s silk and wool surface. 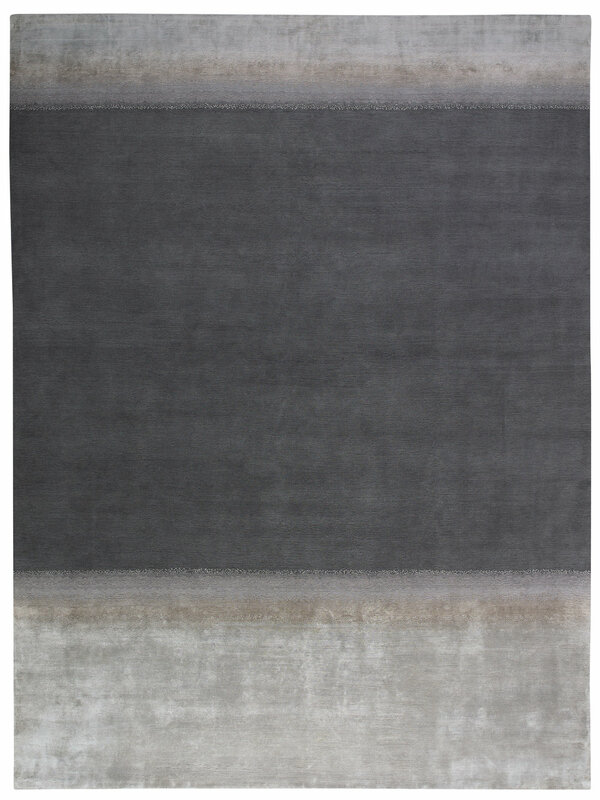 Soft pure wool surface with high/low texture and soulful spacing. Abstract and layered, ink brush stroke inspired, , Aqueous is a beautiful subtle tonal surface or a lively abstract motif in deeper colors. An aerial abstraction of the New York cityscape, Dapple is chic and urban, while soft and quiet underfoot in handwoven silk and wool. Implied linear patterning, light and motion expressed with variegated wools shot through with fine silk design elements.